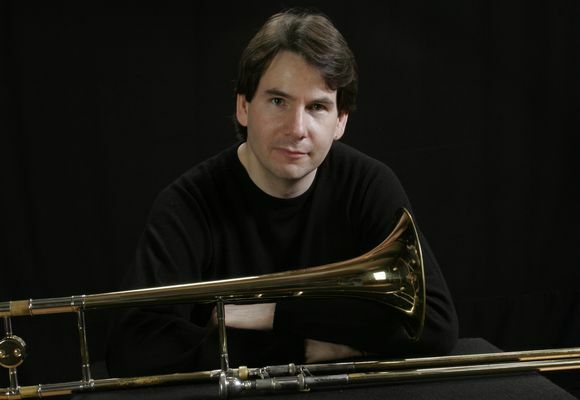 Trombonist/composer/arranger Matt Haviland is a veteran of the New York jazz scene. He has performed with some of the top names in jazz and popular music, including Illinois Jacquet, The Vanguard Jazz Orchestra, Blood Sweat & Tears, Mingus Big Band, Deodato, and Lionel Hampton, and toured Europe, Scandinavia, Russia, Japan, the Caribbean, and across the US. More recent associations include Diane Moser’s Composers Big Band, Frank London, Steven Bernstein, the Levon Helm Band, Westchester Jazz Orchestra, and various Broadway shows (Swing, Drowsy Chaperone, Color Purple, South Pacific, Priscilla). Haviland’s compositions and arrangements are in the books of many groups he performs with, and are featured on his 2006 release Beyond Good & Evil (Connotation Records). The recording reached #16 on the national jazz radio charts and was featured on Sirius XM and other radio and streaming playlists. Until recently, Matt resided in Nyack, NY, where he contributed to jazz and the arts at the local level as a performer, Board Member of the Rockland County Jazz and Blues Society, and Co-Curator of Jazz at Riverspace Arts. In 2016, Haviland returned to Manhattan as a full-time resident, and remains a recognizable voice on his instrument as well as an active composer and arranger.